Arian allegedly is the name of a planet that circles Aldebaran (Alpha Tauri), and that's inhabited by a humanoid civilization. So says Martin Wiesengrün who claims to have met some of its inhabitants in 1957. 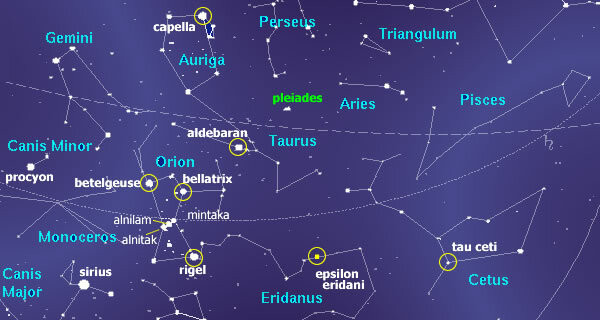 Arian would be the 4th planet circling Aldebaran. Current estimates locate Aldebaran at 65.1 LY away. Older estimates situate it approx. 60 LY away, which is in line with the 59 LY Martin Wiesengrün mentions. Note that there are - thus far unconfirmed reports - of a possible brown dwarf companion, in which case Aldebaran would be a binary system. Allegedly the natives call their sun Raula. Arian's orbit around it would take approx. 20.2 earth years to complete. Allegedly the average life expectancy on Arian is 4742 earth years. When Martin met them, they were wearing helmets, and silver-like jumpsuits. On board their craft he met other species as well: one of them from a planet Uru, which is the second planet orbiting Raula. They were European looking and about 1.7 meter tall. Some had brown skin. This is a contactee case that involved Martin Wiesengrün (a pseudonym), and that was investigated by Wendelle Stevens. The contact happened in the summer of 1957 in Glowe, on Rügen island, off the Baltic coast, in the former DDR. He was 15 at the time. He was invited aboard their ship where he stayed for 3 days to get an education which they had planned for him. On board he met several species, not all of which were from Arian. One of the things they told him was that they had lived on Earth - in what is now Greenland - and were present 65 million years ago, when an asteroid hit. They also mention Atlantis. NOTE: not to be confused with the Arien, who allegedly are a white skinned race from Orion.